Advanced Inpatient Medicine (AIM) covers four hospitals, two long-term acute care facilities and multiple skilled nursing facilities. Expanding in both the inpatient and outpatient arenas in the Northeast, AIM is recruiting for all shifts and positions, including hospitalists, SNFist and director positions. Services: AIM-employed hospitalists provide a variety of services including surgical comanagement, LTAC coverage and preoperative consultation. AIM staff functions as one team, with hospitalists practicing in a collaborative environment. Schedule and coverage: AIM believes in quality over quantity, and physician census is kept to a daily max of 15-18 encounters. AIM’s work-life balance priority results in high provider satisfaction and better metrics, as well as high staff retention. Compensation: AIM offers a highly competitive compensation package with excellent benefits well above regional averages. A quality bonus is paid semi-annually. Benefits also include 100% of all insurance coverage for provider and family, matching 401k retirement, CME, and many more. Regional highlights: Northeastern Pennsylvania has a low cost of living, low crime, some of the top-rated schools in the state and beautiful scenery. Residents enjoy cultural activities that range from the Philharmonic to the Penguins hockey farm team and the Yankees AAA franchise, making the area perfect for families. Based in: Downers Grove, Ill. (covering the Chicago area) and Bloomington and Normal, Ill.
Advocate Medical Group (AMG) is one of the leading physician-led medical groups in Chicago and employs 1,600+ providers. As part of Advocate Health Care, AMG is supported by the largest fully integrated not-for-profit health care delivery system in metropolitan Chicago and is recognized among the nation’s top 10 largest health systems. Advocate is the largest health system in Illinois, has the largest emergency and level I trauma network in the state, and provides care at more than 450 sites, including 12 acute-care hospitals. Due to continued growth, Advocate is actively recruiting for all sites. Services: Services vary by site, as hospital size ranges from 200 to 600+ beds. Responsibilities include inpatient nonacademic services, subspecialist consultation, preoperative evaluations and ED unassigned coverage. Candidates will be team players, good communicators, committed to patient satisfaction, and support initiatives to provide high value-cost conscious care and best outcomes. Each hospital has its own team and site lead physician. Schedule and coverage: Hospitalists work a seven-on/seven-off schedule. Compensation: Competitive compensation with performance and quality linked initiatives along with an extensive benefit package. Local highlights: Advocate’s hospitals are located close to Chicago and surrounding suburbs. The metropolitan area offers music, theater, sports, an international airport, and a wide variety of social, cultural and educational opportunities. Based in: Tampa Bay Area, Fla.
BayCare Medical Group is Tampa Bay’s leading multispecialty group with more than 575 providers practicing 46 specialties in over 190 outpatient locations throughout the west gulf coast of Tampa Bay and central Florida. BayCare Health System network comprises 14 hospitals with services including imaging, lab, behavioral health, home health care and urgent care. Our priority is connecting patients to a complete range of preventive, diagnostic and treatment services for any health care need throughout their lifetime. Services: Hospitalists provide core services including ED coverage, subspecialty consultations, preoperative evaluations and ICU coverage. BayCare covers more than 46 medical subspecialties including cardiovascular, neurology, endocrinology, oncology and pediatrics. Schedule and coverage: Hospitalists typically work a seven-on/seven-off schedule with nocturnist coverage. Schedules vary according to assignment and facility. Compensation: BayCare Medical offers a competitive base salary with wRVU productivity incentive. We offer benefits including health, dental, vision and life, as well as a discretionary allowance, college savings plan, child care, auto and pet insurance, wellness center, and more. Local highlights: The Tampa Bay area offers the diversity of a casual family-friendly lifestyle in a cosmopolitan city as well as rural and coastal living. Enjoy college sports, world-renowned golf courses, cultural events, recreational activities and family attractions. Beebe Healthcare is a progressive, not-for- profit community health system with a 210-bed hospital and numerous satellite facilities. Services include: cardiac surgery, interventional cardiology, cancer center with radiation, 256-slice CT, 3.0T MRI, PET scan, 3D mammography, 20-bed ICU with technology unique to our hospital size, hyperbaric chambers. South coastal Delaware has a population growth rate of 9.2%; a $180,000,000 system-wide expansion is planned. Employment model: Hospitalists are employed by Beebe Medical Group, a multispecialty hospital physician network. Services: The hospitalist group provides 24/7 physician care to inpatients at Beebe Healthcare; serves on the rapid response team; admits patients; orders tests, treatments and medications; consults and comanages patients with specialists; answers patient and family questions; and consults with case managers. Schedule and coverage: Twelve-hour shifts; seven days on, seven days off; flexible. Compensation: Competitive salary with incentives and generous benefits package. Local highlights: Beebe Healthcare is located at the beach in beautiful, family-friendly south coastal Delaware. Our ocean-side setting is surrounded by nature, recreational and entertainment attractions, yet is close to major east coast cities. Serving a diverse population in Western Massachusetts, Berkshire Medical Center is a 302-bed community teaching hospital and a major teaching affiliate of the University of Massachusetts Medical School, Boston University School of Medicine and University of New England College of Osteopathic Medicine. Berkshire Medical Center has a 20-bed combined medical–surgical ICU, advanced imaging technology, full specialty support and a system-wide EMR. Berkshire Health Systems is the region’s leading provider of comprehensive health care services and includes a satellite emergency facility in North Adams, Mass., and a critical access hospital in Great Barrington, Mass. Schedule and coverage: Berkshire Medical Center offers a seven-on/seven-off block schedule. Compensation: Salary is commensurate with experience and includes an extensive benefits package and relocation. Local highlights: At Berkshire Health Systems, we understand the importance of balancing work with a healthy personal lifestyle. Located just 2.5 hours from Boston and New York City, the Berkshires offers small town New England charm and the endless cultural opportunities of a big city. With excellent public and private schools, world-renowned music, art, theater and museums, as well as year-round recreational activities from skiing to kayaking, this is an ideal family location. The Billings Clinic is a large, not-for-profit medical foundation with more than 300 physicians, a 304-bed hospital and a long-term care facility. As the region’s largest multispecialty group practice, this hospital provides care in 46 specialties and boasts a level II emergency and trauma center, an inpatient cancer care unit, an advanced surgery center, and an EMR with CPOE. Internal medicine residency and medical student program with teaching opportunities are available. Serving patients in Montana, Wyoming and the western Dakotas, Billings Clinic is a physician-led organization with abundant leadership opportunities. 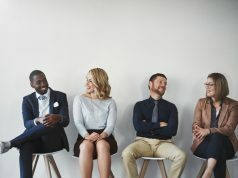 Services: Hospitalists work in primarily inpatient nonacademic services, but inpatient academic opportunities with the internal medicine residency are available. Schedule and coverage: Hospitalists work variable 10-hour shifts including admitting, rounding, swings and nights. Billings is committed to flexible scheduling, and hospitalists do not follow a seven-on/ seven-off block schedule. Compensation: Billings offers hospitalists $275,000 plus a signing bonus. As part of its benefits package, Billings Clinic offers a stipend and generous loan repayment, as well as an annual bonus program (currently $25,000) based on quality and productivity. Local highlights: Billings, a friendly college community, is a great place to raise a family near the majestic Rocky Mountains. The area offers exciting outdoor recreation with 300 days of sunshine! CoxHealth delivers integrated health care to over 1 million people in southwest Missouri. Healthgrades ranks CoxHealth a Distinguished Hospital, placing us among the top 5% of all U.S. hospitals for clinical quality and superior patient outcomes. Services: The physician would join a team of 8 physicians providing inpatient care at Cox Medical Center Branson, a 165-bed community hospital. Specialty support provided by interventional cardiologists, surgeons (general, ENT, urology and orthopedists), pulmonology/critical care physicians, nephrologists, psychiatrists, and neurologists. This is an open ICU format and hospitalists will do some procedures. Schedule and coverage: Hospitalists work 15 12-hour shifts, seven-on/seven-off scheduling. Nocturnist only shifts: 14 12- hour shifts. Compensation: Physicians receive a one-year salary guarantee and then move to a wRVU model. CoxHealth hospitalists average above the national median. Hospital and local highlights: Cox Medical Center Branson is a 165-bed community hospital and just recently received a four-star rating from Hospital Compare. U.S. News & World Report named Cox Medical Center Branson Best Regional Hospital for 2017-2018, with recognition as high performing for congestive heart failure, COPD and knee replacement. Based in: La Crosse, Wisc. Gundersen Health System in La Crosse, Wisc., is seeking an IM- or FM-trained hospitalist to join its established team. Gundersen is an award-winning, physician-led, integrated health system, employing nearly 500 physicians. Seven-on/seven-off schedule (26 weeks per year)—three shifts per 24-hour period. 26-member internal medicine hospitalist team composed of 16 physicians and 10 associate staff. Direct involvement with teaching family medicine and/or internal medicine residents. La Crosse is a historic, vibrant city nestled between bluffs and the legendary Mississippi River. The region boasts great year-round outdoor recreation, excellent schools including three universities, affordable housing in safe neighborhoods, an endless variety of live entertainment and breathtaking beauty, making this a great place to call home. See more at www.gundersenhealth.org/MedCareers. Based in: Traverse City, Mich.
iNDIGO Health Partners is a private company, founded and led by physicians. We understand what’s important to you and your career. Be part of a dedicated team that’s making a real difference for the hospitals and communities we serve. We offer manageable workloads and a healthy work-life balance. Services: iNDIGO provides hospitalist coverage, including ICU and med/peds coverage at multiple Michigan community hospitals. Services also include telehealth, post-acute and long-term care. Schedule and coverage: iNDIGO has a dedicated in-house scheduling team utilizing Web-based software for flexible hospitalist and telehealth shifts. Hospitalists typically work four- to 10-day blocks and average between 14 and 18 shifts per month. Local highlights: Based in northern Michigan, iNDIGO offers opportunities to enjoy a career that allows for making a real difference in the communities served. Programs help ensure that quality health care is available where it is needed. Johnston Memorial Hospital, a member of Mountain States Health Alliance, is a 116- bed facility. Hospitalists are employed by Mountain States Medical Group. Johnston Memorial Hospital provides a supportive management team, an expert and caring staff of nurses and technicians, and state-of- the art technology. Services: Johnston Memorial Hospital offers an array of emergency care, acute care services, cardiology, cath lab, palliative care, interventional radiology, nutritional services, respiratory care and surgical services. The facility includes a family birth center, a joint replacement center, medical/ surgical and progressive units, a cardiac and pulmonary rehab center, a center for comprehensive wound care, chest pain center, diabetes care center, and an oncology-regional cancer center. Schedule and coverage: Day shift hospitalists work seven-on/seven-off , 7 a.m.-7 p.m. Compensation: Hospitalists receive an annual salary plus a production bonus based on work RVUs, as well as a generous sign-on bonus, performance bonus, relocation assistance, educational loan assistance, CME funding, full benefits and paid malpractice insurance. Local highlights: Residents enjoy a high standard of living and are surrounded by beautiful mountains, friendly neighborhoods, and the rich culture and history of Abingdon. Nestled in the Virginia Highlands, Abingdon is within driving distance of several big cities, and is home to an excellent school system and a wealth of social, community and religious organizations. Legacy Health is an eight-hospital system that includes a children’s hospital and provides 24/7 adult, OB and pediatric hospitalist services in the Portland metro area, Silverton, Ore., and Vancouver, Wash. Additional pediatric hospitalist services are provided in Corvallis and Springfield/ Eugene, Ore.
Services: Under Legacy’s umbrella is Legacy Medical Group, which consists of more than 50 primary care clinics and specialty practices across the metro area, plus fulltime physicians who care for hospitalized patients—more than 400 doctors in all. Schedule and coverage: Hospitalist schedules vary depending on location but can include ED unassigned, consultative services, admission of patients referred by community PCPs and comanagement with subspecialists. Compensation: Hospitalists enjoy competitive compensation, performance and quality-linked incentives, and career-growth opportunities. Sign on bonus and relocation allowance available. Opportunities: Legacy Health has a variety of openings that are listed on its Web site. Regional highlights: The Pacific Northwest is a spectacular part of the U.S. It is more than a location; it is a destination. The region that Legacy Health supports is surrounded by natural, colorful beauty. We are located in the shadows of the snowcapped Mt. Hood and the historic Mt. St. Helens while being nestled against the majestic Columbia River, all while being a short drive to the Pacific Ocean. The picturesque Northwest allows for limitless activities. Morris Hospital & Healthcare Centers is an award-winning, independent, community- based level II trauma and certified primary stroke center that is ideally situated just 60 minutes outside suburban Chicago. Our successful hospitalist program has been in place since 2008. Services: Total patient encounters for TWO hospitalists equals 25 (average) ranging up to 35 patients. Hospitalists are not responsible for running codes, and no procedures are required. Schedule and coverage: In a four-week period, physicians work 12-day shifts from 7 a.m.-7p.m., which includes seven nights of call from 7 p.m.-7 a.m., taken from home. Two hospitalists are present at the hospital during the day from 7 a.m.-7 p.m. Night coverage takes place at home from 7 p.m.-7 a.m. Each full-time hospitalist works only one weekend (Saturday/Sunday) every month. Compensation: Employed hospitalists receive competitive, guaranteed base salaries, as well as yearly performance bonuses based on quality measures. In addition, physicians can expect starting bonuses, relocation assistance, CME and practice expense accounts. Local highlights: The 11 communities Morris Hospital services offer great residential neighborhoods, unique shopping experiences and academically-challenging schools. North Shore Medical Center (NSMC) is a 400-bed academic community medical center on the North Shore of Boston. NSMC is ranked as a top 5 regional facility by U.S. News & World Report and is a member of the Partners Healthcare System, whose founding members include Massachusetts General Hospital and Brigham and Women’s Hospital. Services: Hospital medicine is the primary service for approximately 70% of all hospitalizations into NSMC. Hospitalists also provide medicine consultations for patients admitted to the psychiatry, surgery and orthopedic services. Patients admitted to the ICU are followed by intensivists 24/7 and are not part of hospital medicine’s practice scope. Schedule and coverage: Day rounders typically work a seven-on/seven-off schedule with shifts of 10 or 12 hours. Admitters work eight-hour shifts starting at 3 p.m. Nocturnists work 12-hour shifts and have four weeks of paid vacation. Daily workloads are designed for sustainable careers and quality time at the bedside. Compensation: NSMC offers a competitive compensation package that combines a base salary with quarterly incentive compensation based on quality, citizenship and productivity metrics. Local highlights: The North Shore of Boston provides easy access to the Atlantic coastline, mountains, the amenities of a major metropolitan area, outstanding local public and private schools, and all the charm of New England. OSF HealthCare System is an integrated health system headquartered in Peoria, Ill., with acute care hospitals in 11 locations throughout the state. Those locations have a total of more than 1,500 beds, and the largest facility, OSF Saint Francis Medical Center, has more than 600 beds. OSF HealthCare also has a physician organization that employs nearly 700 physicians. The system is seeking additional hospitalists because the hospitalist program is experiencing growth. Services: Services vary by site, but OSF HealthCare offers a full range of subspecialty support and ancillary services. Two locations—Peoria and Rockford—have an academic affiliation, giving hospitalists an opportunity to get involved in teaching. Schedule and coverage: Hospitalists work seven-on/seven-off shifts, 7 a.m.-7 p.m. Blocks run from Tuesday through Monday so hospitalists don’t have to handle weekend discharges on the first day of their block. Hospitalists work one week of nights per quarter. Compensation: Hospitalists receive a competitive base salary and bonus structure. Physician employees of OSF HealthCare also receive a full benefits package that features medical, dental, vision coverage, a dollar-for-dollar matching 401k and separate 457b plan. Physicians also have access to a financial services plan that provides discounted interest rates for medical student debt. Local highlights: OSF HealthCare locations are in mid-major communities near large metropolitan areas with family-oriented communities and excellent schools. At TeamHealth, our purpose is to perfect physicians’ ability to practice medicine, every day, in everything we do. Through our more than 19,000 affiliated physicians and advanced practice clinicians, TeamHealth offers outsourced emergency medicine, hospital medicine, critical care, anesthesiology, orthopedic hospitalist, acute care surgery, obstetrics and gynecology hospitalist, ambulatory care, post-acute care, and medical call center solutions to approximately 3,300 acute and post-acute facilities and physician groups nationwide. Our philosophy is as simple as our goal is singular: We believe better experiences for physicians lead to better outcomes—for patients, hospital partners and physicians alike. Join our team; we value and empower clinicians. Partner with us; we deliver on our promises. 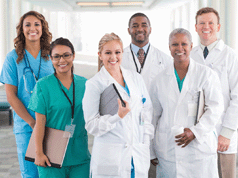 Services: TeamHealth’s nationwide team of hospitalists has a manageable patient caseload. Hospitalists may provide a range of services that include ICU, ED unassigned call, primary care referrals and more. Schedule and coverage: TeamHealth hospitalists enjoy long-term stability and flexible scheduling. Compensation: Hospitalists receive competitive compensation, performance-linked incentives and career-growth opportunities. About our community: With TeamHealth, you have a variety of facility options—choose from fast-paced, high-volume Level I trauma centers, leading academic facilities with teaching opportunities or slower-paced community hospitals. A host of practice arrangements to fit your lifestyle are available—full-time, part-time, locum tenens and directorship opportunities. With TeamHealth, you can practice in a location, facility or role that best suits your family’s needs or your personal desires. Schumacher Clinical Partners is one of the nation’s leading health care organizations specializing in emergency medicine, hospital medicine, urgent care, intensivist care, telehealth and other innovative services covering the entire continuum of care. Founded and led by physicians, we keep patient-centered care at the heart of all we do. We currently manage over 80 hospital medicine programs, each with a team of physicians led by an onsite medical director with regional support from a group medical officer. We offer integration with the EDs in which we also have contracts to promote seamless care transitions. Facility types range from academic, community and regional access hospitals to trauma centers. We offer employee and partnership models. Schedule and coverage: Typical schedules are 7 a.m–7p.m./7 p.m.–7 a.m., but shift times vary from site to site and with program size. Local highlights: With opportunities available nationwide, our locations range from large urban areas to mid-sized cities to smaller rural communities. UPMC Pinnacle is a nationally recognized leader in providing high-quality, patient-centered health care services in central Pennsylvania and surrounding rural communities. Its more than 2,900 physicians and allied health professionals and approximately 11,000 employees serve a 10-county area at outpatient facilities and eight acute-care hospitals with 1,360 licensed beds. Group highlights: The hospitalist group regularly engages in quality-improvement efforts. Recent initiatives have led to the creation of a new inpatient CHF team, marked improvements in COPD and sepsis care over the past year, and the transition to a new EMR system. The hospitalist team is led by an overall medical director and site directors/team leaders at all sites. 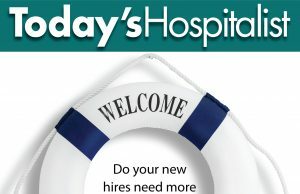 Schedule and coverage: Most hospitalist groups work block schedules of seven-on/ seven-off in 12-hour shifts, but the group offers flexibility with popular hybrid schedules that offer a mix of day and night shifts. UPMC Pinnacle hospitalists see an average of 14 to 16 daily patient encounters and have excellent PA and NP support. 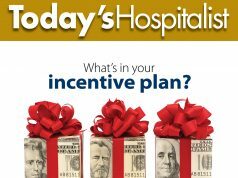 Benefits: Hospitalists receive a highly competitive salary with incentive bonus plus a rich benefits package that includes malpractice coverage and a retirement plan. Relocation allowance is available. Based in: St. Louis, Mo. The Division of Hospital Medicine provides hospitalist services at Barnes-Jewish Hospital (BJH) at Washington University Medical Center (a 1,300+ bed teaching and research facility, ranked as one of the nation’s top 12 hospitals by U.S. News & World Report), Barnes Jewish West County Hospital (a 75+ bed extension of BJH in St. Louis’ West County), and The Rehab Institution of St. Louis-TRISL (a 96 bed inpatient rehabilitation facility). Services: All hospitalists practice within a collaborative environment, have access to the latest in technology and treatments, and are connected to some of the area’s best physicians and resources. Responsibilities range from 24/7 primary care inpatient coverage, medicine consultative services, medical procedure service and BMT/Oncology inpatient coverage. Each location’s practices vary. Schedule and coverage: Most rotations follow the traditional seven-on/seven-off model within a block schedule. Compensation: All positions offer an attractive salary, bonus option and professional allowance. A night differential is standard for nocturnist positions. Washington University offers comprehensive benefits including liability insurance, health, dental, vision, retirement benefits and more. Local highlights: St. Louis combines the best of small town and big city living. The metropolitan area offers music, theater, sports, an international airport, and a wide variety of social, cultural, educational, and recreational opportunities.